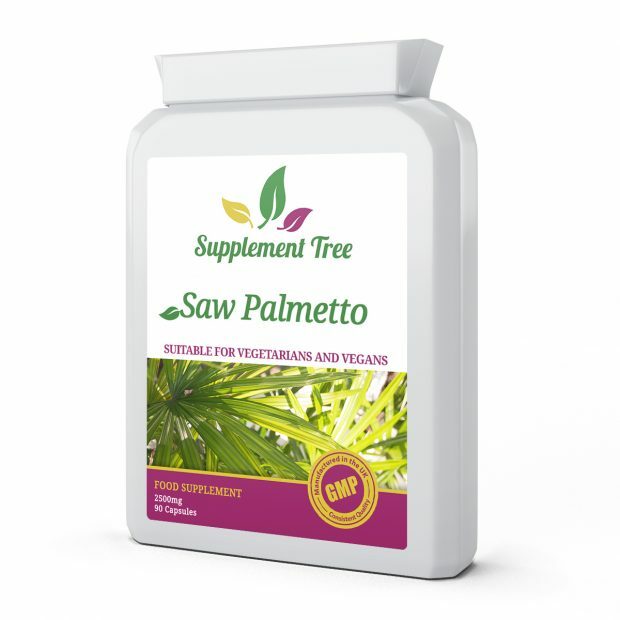 Saw Palmetto 2500mg capsules is a high strength saw palmetto daily health supplement to support urinary tract and prostate health in men. Saw Palmetto is a small palm tree found in North America and the West Indies. 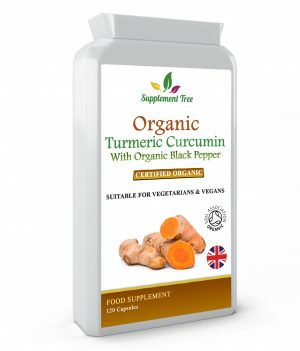 It contains a variety of fatty acids and hormone-like sterols that are widely used as a male tonic and sexual health support. Supplement Tree Saw Palmetto contain extracts from wild crafted saw palmetto berries, harvested in peak seasons to ensure optimal potency. Some supplements use ‘green’ berries picked before they are ready which can lead to inconsistent and low-potency formulas. High pressure extraction is used to ensure maximum nutrient retention compared to supplements that use low pressure or chemical extraction processes. Saw Palmetto is seen as one of the leading supplements that is reported to support the prostate gland. It does this by helping to maintain a healthy natural hormone balance. 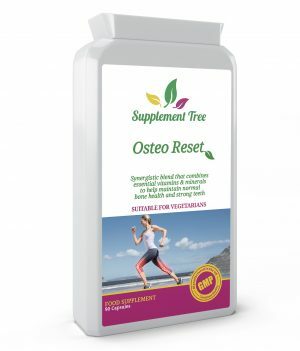 Supplement Tree Saw Palmetto Capsules are manufactured in the UK to GMP code of practice and ISO 9001 quality assurance certification. Only the finest quality raw materials in their highest and purest form are used. Produced from pure wild crafted berries. High pressure extraction for maximum nutrient retention. 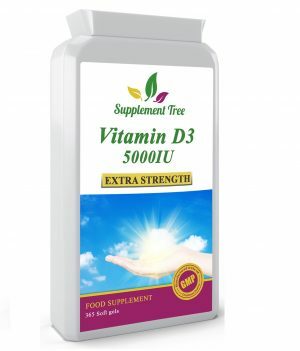 Supports healthy urinary tract in men. 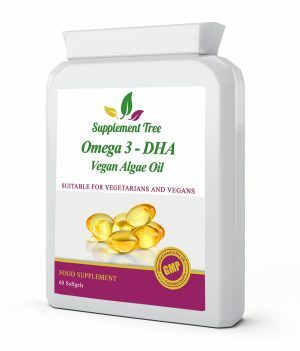 Supports healthy sexual function in men. Saw Palmetto Extract 10:1 250mg Providing minimum 45% Fatty Acids Equivalent to 2500mg Dried Berries. Not suitable for anyone wishing to remove rice, corn or maize from their diet.